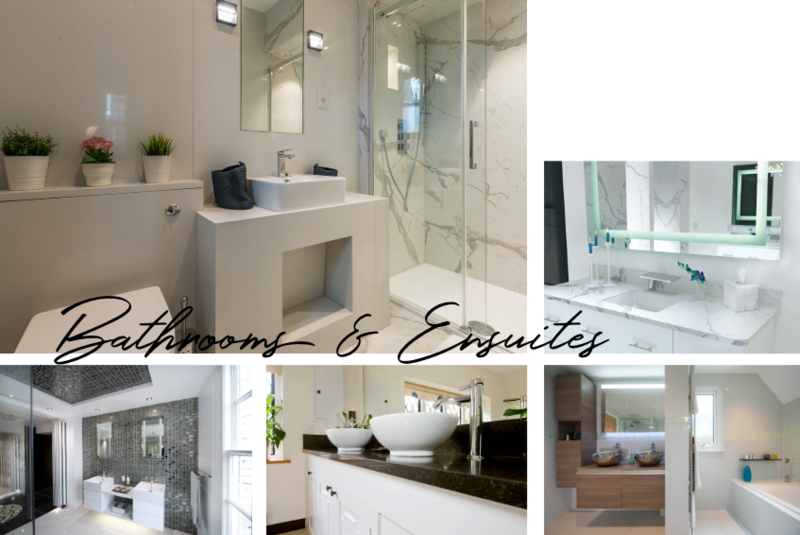 We can remodel your bathroom or ensuite at an affordable cost with new fixtures and finishes. Our beautiful materials, such as Origina™ sheeting and glass mosaic tiles, can be fitted over existing surfaces, saving time and money. There’s lots of good reasons to update your bathroom. Apart from wanting sparkling new fixtures and décor, older householders may be considering accessibility aids to make life more comfortable. When it comes to a makeover, a freestanding bath oozes style and luxury. Another great option is a fitted tub with seamless décor panels and splashback. Consider a vessel sink mounted on top of a matching vanity unit, or his’n’hers double basins. Check out new close-coupled, wall-hung and back-to-wall toilet designs but remember that when you start moving pipes and outlets, it adds to the expense and upheaval. Complete the look and provide a fully waterproof finish, with seamless Origina™ panels, pre-grouted glass mosaic and large granite, quartz, recycled glass or porcelain floor tiles. If you have spare space in your bedroom or can utilise space from elsewhere and want to install an ensuite, consider space-saving sanitary ware and install a shower enclosure or wet room style, instead of a bathtub-and-handset combination. Wall-hung toilets and towel rails will free up floorspace. And you can make more room by using open shelves to store towels and toiletries, instead of a vanity unit. A single colour scheme in white, off-white or soft neutral shades creates an impression of space, as do large floor tiles in the same colour. Finish things off with a mosaic feature panel. Stunning. Don’t forget, as the ensuite is essentially an extension of your bedroom, choose complementary colours, or glass mosaic wallcovering, that coordinate with the main room’s décor. See more Shower and Wet Rooms & Cloakrooms.